This very clever set-up can duplicate the strike and fish fight in realistic, heart pumping action. 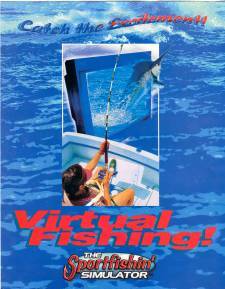 The simulator combines rare underwater film footage of a variety of popular sport fish with an advanced computer system to create a totally sensational, realistic fishing experience! Excellent choice for trade shows with tight space constraints.